Like you, doctor of behavioral health and therapist Wendy Boring-Bray has seen the words healthcare and wellness defined numerous ways over the years. Is it charisma and positive thinking? Meditation and chanting? Decisiveness? Is it all about the situation? Is it meant only for the chosen few who smile all the time? Or, is there a different story? With over 7 years coaching, speaking, and most importantly, real-life, in-the-trenches counseling experience, her view is radically different. Wendy appreciates, and shares with patients, that change and wellness is a moment-to-moment choice and not always about medication, doctor appointments or defeat. Wellness is for everyone, everyday. It's how we should live our life. Wendy, sometimes referred to as the “Group Queen” for her ability to conjure up a wellness group on numerous topics or as the “Relationship Expert” for her communication skill that brings out the best in patients, is known for her practical, street-savvy style; Wendy's fusion of real-life stories and her conversational techniques connect with her patients at an intimate, intense and individual level. 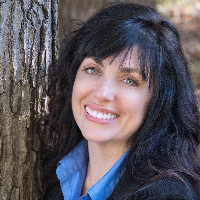 Wendy is a Doctor of Behavioral Health and Licensed Professional Counselor that enjoys to work with all ages of patients that want to make wellness a part of their lifestyle. She has served as an Assistant Director of an academic doctoral program for several years teaching providers how to best serve patients in several healthcare settings. She is also the author of the Psychology Today blog, A New Beginning. While working with all ages, Wendy has found a passion in working through play therapy techniques, holistic wellness, and positive psychology. Having only two sessions so far has amazed me with how much better I feel already. And I know that is because Dr Wendy has understood my pain and has given support and most important practical daily steps to help manage what feels like a crisis time in my life. Additionally, I have found the use of the platform and service to be really user friendly which is so important when folk sometimes can’t think straight. Thanks, Ben. Dr. Boring-Bray is very insightful, listens with an open heart and mind, and spreads compassion and understanding! I have greatly appreciated her style and the questions that she asks which always cause me to dig deeper and understand myself and my husband even more. For someone who has never had any previous counseling, Dr.Wendy has been my saving grace. Her attention to detail and compassion helps me through each step. I trust her judgement and expertise. I enjoy working with her and honestly believe our exercises are benefiting me and my family. I would highly recommend her service to anyone. Dr. Boring-Bray is excellent - she really takes the the time to listen to and empathise with your situation, and offers you a variety of ways of working through things. I find she is very supportive and completely non-judgemental. Her warmth shines through - though I've never physically met her, I'm sure if I did I would really like her. Excellent, insightful, honest, supportive and sincere! Would you like to write a review for Dr. Boring-Bray? We'd appreciate if you can spend a couple of minutes to write a short review for Dr. Boring-Bray (LPC, DBH). This review would be shared with Dr. Boring-Bray. It may also be posted in our website or in Dr. Boring-Bray's profile but it would be anonymous and your identity would be kept completely confidential.